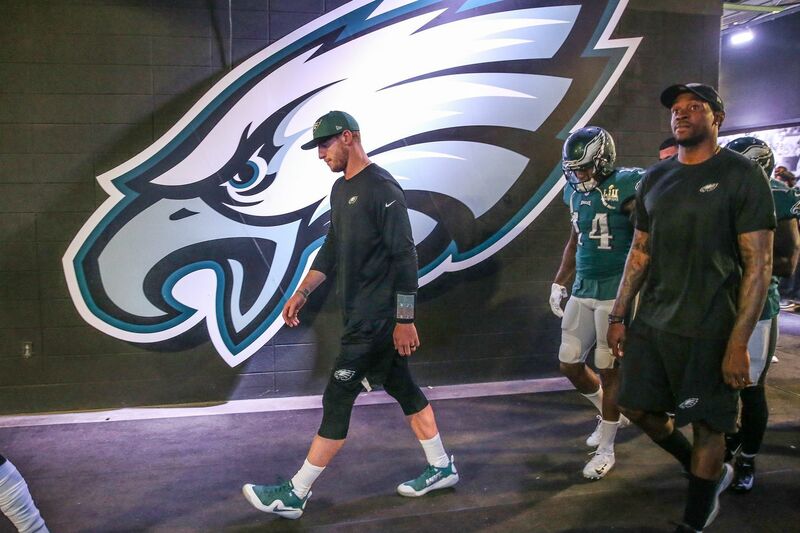 Carson Wentz walks out to the field prior to Thursday's season opener. He was inactive. Don't be fooled by how strong Eagles quarterback Carson Wentz looked in pregame warm-ups before the Eagles kicked off their season against the visiting Falcons. He isn't cleared for contact, and it sounds like we won't be cleared any time soon — certainly, not in time for Game 2 against the Buccaneers. NFL.com reporter Ian Rapoport reported before the game that Wentz "isn't expected to play for a few more weeks." If accurate, that means the Eagles will roll with Super Bowl MVP Nick Foles, who started Thursday night's opener after weeks of speculation that Wentz might be ready by Game One. Wentz's stated goal all summer was to return from the MCL and LCL tears that ended his season in Game 13 last season, which opened the door for Foles to resurrect his career. There's little reason to doubt the accuracy of the report. In the last few weeks Rapoport accurately reported that No. 1 receiver Alshon Jeffery would miss at least the first two games of the season — Jeffery did not play Thursday — and that Wentz would at least miss Game One. This latest report might disappoint Eagles coach Doug Pederson, who was incensed Sunday that the news about Wentz got out before he announced it himself.